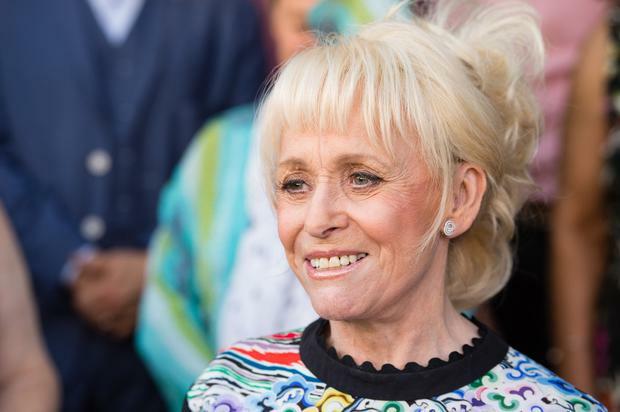 Barbara Windsor is said to be "thrilled" by the reaction from the public over her Alzheimer's diagnosis. Broadcaster and journalist Jane Moore, who revealed the actress had been diagnosed with the disease in an interview with her husband Scott Mitchell, said the former 'EastEnders' star was having a "good day" after the news broke. Ms Moore told ITV's 'This Morning': "She's totally aware of what is happening...and she's thrilled to bits there has been such a positive response." Moore, a close friend of Windsor, said the TV star "sometimes repeats herself and gets a bit confused". She added: "But she knows who she is." Ms Moore said that her husband wanted the public to know because Windsor was becoming housebound. "He said: 'I can't protect her anymore. I want to tell people in a controlled way'." Mr Mitchell revealed that he first noticed symptoms of the condition in 2009, just before she left 'EastEnders', when she began finding it difficult to learn her lines. Windsor (80) was diagnosed with Alzheimer's disease in 2014, but Mr Mitchell (55) said her symptoms had worsened in recent weeks.